When our forefathers drove the first car ever made little did they know that this science experiment would explode into this huge profit industry, have men and women love them more than their spouse’s and that this little engine on four wheels would be a platform for some cutting edge technology. 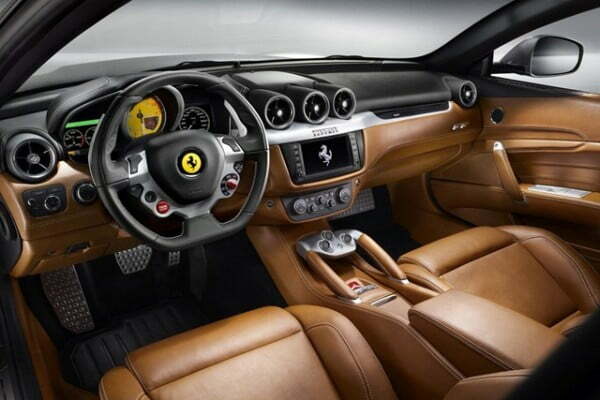 In this constant evolution of the automobile we bring you this report from the Italian stables of Ferrari of how the steering wheel of your vehicle, may never be the same. In an attempt to give the driver a more transparent feedback from the machine, Ferrari has patented a new steering system. This new system is set to increase steering accuracy and precision. In the patent, it is indicated that in a car with ‘normal’ power steering, there is a ‘transmission error’ when the driver turns the steering wheel to when the front wheels actually move. This means that there is a small amount of slack between the wheel column and the steering linkage. This also means that there is inconsistent effort when turning the steering wheel. What Ferrari’s newly patented steering system does is eradicate this ‘transmission error’ as well as tiny changes in steering effort required to make the car turn. The system works with the car’s computers recognising and calculating the torque and angle of the steering wheel during turning. This information is forwarded to an electrical servomechanism which then applies force to the steering system. The key of the system is that while it doesn’t reduce the effort to turn the steering wheel, it ensures that the same effort is always applied no matter of the conditions. Though Ferrari has not revealed plans on using this technology in future models, the company stated that it, “does not pass any comments on patents registered”, and there’s no guarantee that patented systems will appear on any future Ferrari road cars.